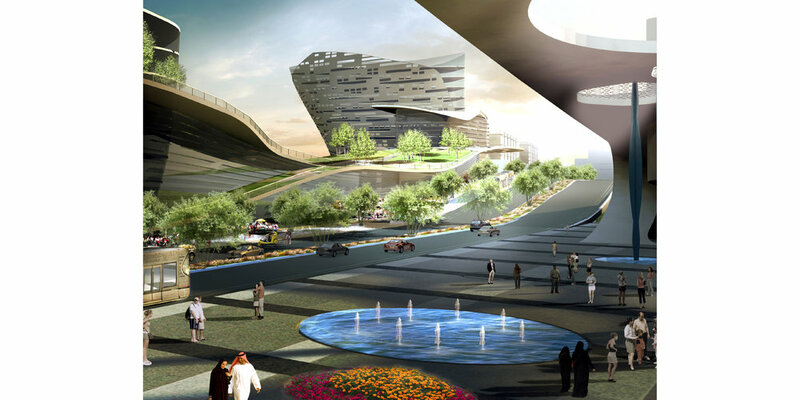 The Seih Sdeirah Master Plan is based on the idea of integrating the traditional Arab city with a contemporary conception of the modern urban living. 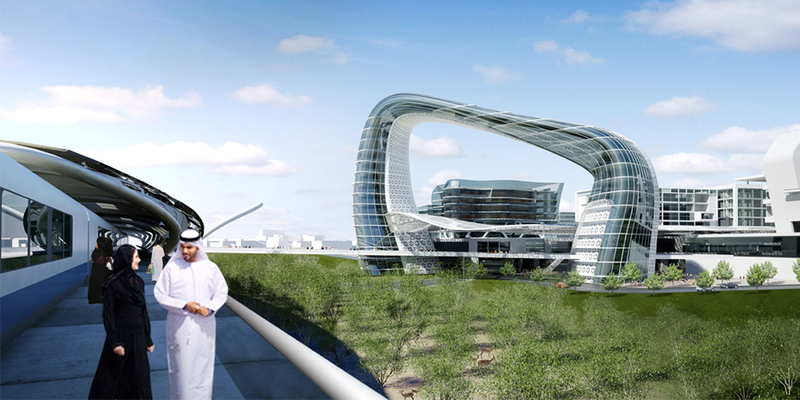 It is located near the Dubai border and has about 5 kilometers of frontage on the Abu Dhabi-Dubai Highway. The Master Plan integrates principles of traditional Arab urban design, such as self-shaded walkable streets, layers of privacy, selective use of native vegetation, and the souk as an integrated pubic space with a mix of uses. Modern ideas and necessities such as transit, underground parking, the grid and infrastructure have been layered onto this traditional understanding to create a new urban environment that is both sustainable and integrates the best of the past and the future. 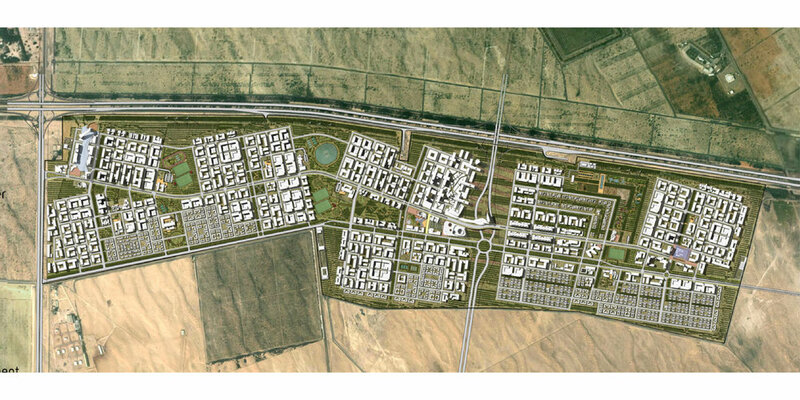 There is an existing tree farm with extensive desert on site; the design seeks to preserve this and connect urban dwellers to the natural environment of the UAE. Passive and active design principles are incorporated into the design in many ways: the block structure supports natural ventilation and shading as well as buildings in the best orientation (elongated east-west), public areas are shaded, buildings are designed to be naturally shaded and supported by rooftop PV, wind turbines are designed to power the public infrastructure (lights, utilities, streetcar), xeriscaping and native plants minimize water use, and a courtyard form predominates to promote an appropriate regional form. It is designed to be a mixed-use community that is compact, pedestrian-based, linked by transit, and inspired by sustainable principles. Because of the size of the project, it is broken down into 5 districts, each with its own character, its own center, and linked to the others by a streetcar and connected street grid. Mixed use centers for each district are marked by civic buildings, parks, plazas, retail, markets, cafes and serve as a place to gather for residents and visitors. Between each district is an open space that contains areas for passive and active recreation, schools, a botanical garden, and recreation centers.